With their names and acting careers firmly cemented among Hollywood’s elite, these blonde haired women are hugely inspirational and amazingly beautiful to boot! Let’s take a look at the beautiful golden locks and enviable styles of 25 of Hollywood’s most stylish blonde leading ladies. We adore Amber’s natural makeup look with her casually brushed back, blonde hair. It’s a simple look but the shimmery tones in her eyeshadow and dewy look of her skin really highlights just how glossy her lovely locks are. Amber stars in the upcoming Marvel movie, Aquaman, for which she sported a fabulous Ariel-esk red wig. From the trailers it’s safe to say Ms Heard can pull off any colour, however we sure do love this more natural looking shade of blonde. Our favourite gossip girl turned Hollywood movie sensation Blake Lively has some of the most famous hair in showbiz. Whether she’s rocking old Hollywood glamour on the red carpet, a “messy” up-do in GG re-runs or showing her natural beauty on her frankly hilarious Instagram account, we’ve yet to see Blakes stunning blonde tresses in a style that we didn’t want to steal! Following her Oscar win for best actress in 2016, Brie’s career has sky rocketed. It’ great news for us, we now get to frequently watch her world class acting skills on the big screen and admire her beautiful red carpet style on a regular basis. Brie tends to keep her hair game rather on the casual side, well maintained with understated, natural looking waves and a healthy shine. It’s the perfect balance to a glitzy red carpet outfit. Everybody has loved watching Charlize’s amazing style evolution throughout the years. We wonder if landing roles in cutting edge movies such as Mad Max and Atomic Blonde may have had an effect on her personal style as Charlize’s look these days is seriously innovative! Her modern looking lob and beach blonde colour is just gorgeous! She may be just 21 years old but Chloe Grace Moretz has been occupying our screens now for more than a decade! It’s been in the past few years however that as well as her acting chops we have started to take note of Chloe’s unique style. Owing in large part to her voluminous, golden blonde locks, chloe has developed a seriously sophisticated, unique sense of style. Those curls are to die for! It’s no secret that Claire Danes is insanely talented and could out act pretty much anyone alive! However, this is not the only reason that we adore her. Claire’s perfectly subtle makeup looks and classic sense of style combined with that beautiful, soft blonde hair is always one of our absolute favourites at any star studded event. Though we may be used to her showcasing scarlet red locks as Avenger, Wanda Maximoff, in real life Elizabeth Olsen is actually a beautiful blonde. She’s perfectly glam on the red carpet but usually seen going make up free letting her natural beauty shine with her stunning blonde hair casually flicked to the side or thrown up in to an effortless up-do. 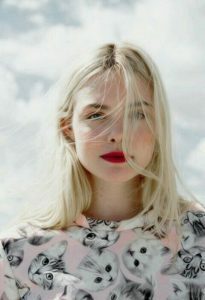 Known as prominently for her beautifully unique appearance as her acting skills Elle Fanning has certainly become a style icon of late. Her platinum blonde locks serve as the icing on top of a perfectly styled cake and we are seriously now thinking of lightening our own! Thanks Elle! Mother of Dragons and setter of trends. It seems Emilia Clarke can do no wrong when it comes to styling and colouring her famous locks. We grew accustomed to Daenerys’s blonde wig but always knew Emilia herself as a brunette. This dramatic change however is an absolute triumph and we are seriously in love with that sleekly styled lob. 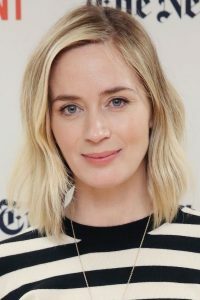 We loved her first as a brunette in The Devil Wears Prada, and more recently as a fierce blonde in A Quiet Place. Emily is now set to grace our screens as Mary Poppins later this year but until then, we’re happy with her gracing the pages of our favourite fashion mags as we swoon over her sophisticated sense of style and newly bright blonde locks. American Horror Story star, Emma Roberts truly makes us believe in the power of the bob. It works especially well for Emma’s slightly thinner hair and frames her face beautifully. Once upon a time, Emma would’ve featured top of the list of our favourite Hollywood red heads but these days, Emma’s rocking a significantly lighter hue and we are living for it! A world renowned actress and founder of the lifestyle brand, Goop, Gwenyth Paltrow certainly knows how to present herself. Thanks in large part to living a fantastically healthy lifestyle, Gwenyth’s enviable blonde hair always looks naturally bright and in fabulous condition. 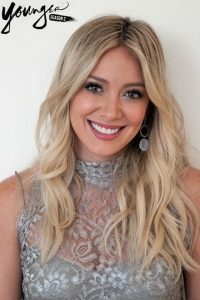 Over the past fifteen years or so we’ve seen Hillary Duff transistion from Disney Channel darling to super successful television and film star, clothing designer and doting mother. One thing that has never changed however is Hillary’s beautiful blonde hair! 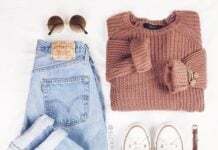 Combine super enviable locks with a seemingly faultless personal style and there’s no doubt about it, you’ve got yourself a style icon! After watching Jen as brunette Katnis Everdeen on the big screen for so many years it’s easy to forget that she’s actually a blonde. In-keeping with her famously bright, care-free personality, Jennifer’s hair style is effortless and full of life. Beach waves in a heavy side part create the perfect balance to her bold red lip and high glamour, red carpet looks. Kristen Bell is known not only for her bright and bubbly voice, personality and acting style but also for her sweet, feminine style and beautiful blonde hair! She stole our hearts in Disney’s live action Cinderella and blew our socks off as young Donna in this year’s Mamma Mia 2 – Here We Go Again. Lily James is incredibly talented and evidently, incredibly beautiful! Her long blonde tresses are the envy of, well, pretty much everyone and although we love a modern bob or lob, we hope Lily keeps her lengthy locks forever! Let’s be honest, whatever hair style, cut or colour Margot Robbie decides to go for, she’s going to completely rock it. She even looked great with blue and pink dipped dyed platinum locks in Suicide Squad! We have to say thought that this on trend cut in a more natural shade of blonde is our favourite of all her looks so far. Since gaining international fame as an actress, Canadian born beauty Rachel McAdams has rocked pink, red, brown, platinum and now blonde hair. Although we honestly think she has suited each and every one in her vast array of colour choices, we think blonde is our fave! Reese sent the internet in to a frenzy a few months back when she announced in true Elle Woods style that a new Legally Blonde movie is in the works! Despite a couple of brief brunette stints for movie roles, Reese has remained faithful to her blonde roots and we have always loved her for it. We’ve always know Scarlett’s Black Widow character as a red head so we were surprised and truly excited when we discovered that Natasha Romanoff is now a blondie! Many were saddened when Scarlett herself decided to go for the chop a few years back but we have always though this cut looks amazing on her! Being blonde really lifts this fun, fresh style and Scarlett’s look is timeless because of it. Long envied for her fabulous sense of style, Sienna Miller has always been one of our favourite Hollywood blondes. Her effortless, beautifully kept tresses never fail to look like they’ve just been freshly cut and treated and we will make it our life’s mission to find out just how she does it! Another red head turned blonde is Game of Thrones actress, Sophie Turner. Sophie is actually a natural blonde but often decided to remain a red head between filming each season for ease and continuity. Well, we love Sophie as a blonde and from what we hear, she loves it too! Alice Eve never fails to have us utterly in awe of her red carpet looks. Her glossy blonde locks styled perfectly in to beautiful bouncy curls with subtle eye makeup and a bold red lip is utter perfection. If we could choose any stars hair in Hollywood, we think we’d have to go for Amanda’s. Her beautiful blonde hair is like something from our dreams and we’ve yet to see her have a mis-step when it comes to styling. Perhaps it’s all that filming on beautiful, remote Greek island’s that gives it that gorgeous golden glow? What’s your secret Amanda?! We need to know!